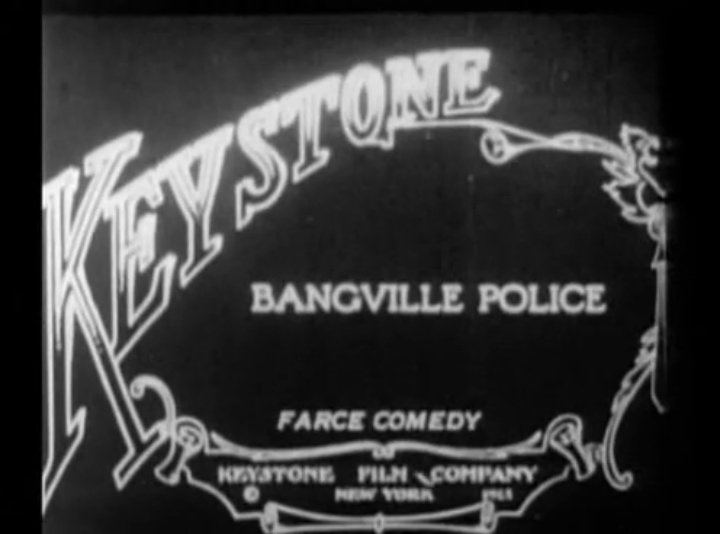 One of the few cases where it’s hard to identify just one stunt and one person involved for the Best Movie Stunt, The Bangville Police is a 1913 comedy short starring Mabel Normand and the Keystone Kops (Fred Mace, Raymond Hatton, Edgar Kennedy, Ford Sterling, and Al St. John). 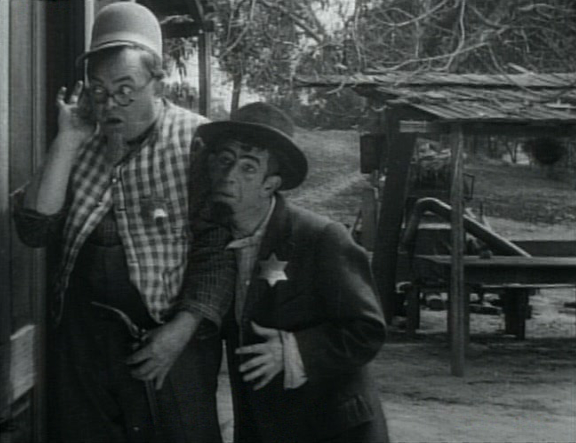 The film, notable for being regarded as the seminal Keystone Kops (sometimes known as filmdom’s original “stuntmen”) short, was directed by Henry Lehrman. I think Mabel Normand looks like Kate Winslet in this, with a very nice dress. Mabel was one of the film industry’s first female screenwriters, producers and directors. Onscreen she co-starred in commercially successful films with Charles Chaplin and Roscoe Arbuckle more than a dozen times each, occasionally writing and directing movies featuring Chaplin as her leading man. At the height of her career in the late 1910s and early 1920s, Normand had her own movie studio and production company. 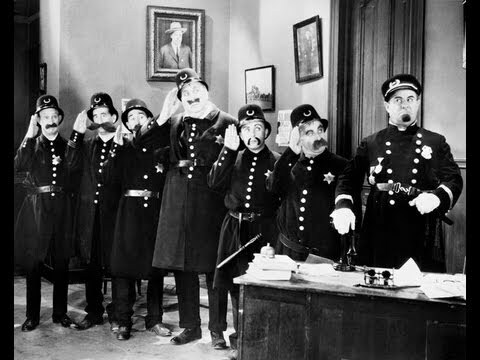 The Keystone Kops were a ragtag gang and began as prize fighters, race car drivers, circus acrobats, strongmen, clowns, roustabouts and vaudevillians. They were a wild bunch, up for nearly any stunt the Sennett writers could concoct, and left behind a hilarious legacy of diverse performances. They were doused in oil, tossed off rooftops, launched into the ocean, butted by wild animals and plastered with pie. Their wacky “Kopwagon” was rigged to handle outrageous chases, near misses, collisions and explosions. 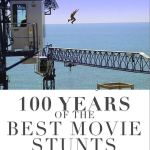 Through improvisation and experimentation they developed many stunts and stunt techniques that remain popular today. The Keystone Kops were the first Movie Stunt Team and is a great example of why being a great acrobat is of so importance as a stunt performer. The film itself is not very eventful, but I think it stands up as one of the first action-oriented films. In The Bangville Police, a girl wishes they had a baby calf, which her father agrees with but when she enters a room she thinks she hears burglars and calls the police who get out of bed in broad daylight and drive a repeatedly exploding car to girl’s farm where everyone discovers there are no burglars after all. But a baby calf miraculously appears. 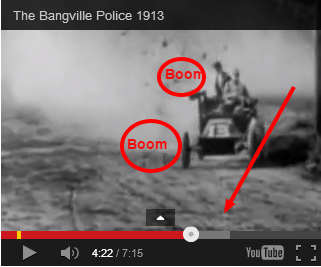 The cops bumble about with a pretty cool fall at about 2:32 marker on the film and has a pretty big explosion with the car at 5:04 marker. As a side note, Al St. John did stunts his entire life, from daring bike tricks as a child until his last days touring with a western show performing all kinds of gags, still doing falls and trick bicycling. His stunt work in the films were of a wide range and skillfully executed. I am not exaggerating when I say that he was one of the best stunt men in the business. Unfortunately his best work is still considered lost. The shorts he did when he got his own company, wrote, starred and directed himself under names like Fox and Warner got rave reviews, papers and magazines dubbed him “superhuman”, “nuts”, “eccentric”,”different”…all in all, he stood out, leaving cinema audiences screaming of laughter and awe of his stunts and gags. His work was at the time called thrill comedy…not just comedy. Stunt Team – A stunt team is a crew of stunt performers that follow the direction of the Stunt coordinator to collectively participate and execute an action sequence for film, television, or theater. I’d like to add that in many cases stunt teams have worked together over the course of years and as such develop their own techniques and often, their own verbal language and sign language. Acrobatics – Acrobatics is the performance of extraordinary feats of balance, agility, and motor coordination. It can be found in many of the performing arts as well as in many sports. Acrobatics is most often associated with activities that make extensive use of gymnastic elements, such as acro dance, circus, and gymnastics, but many other athletic activities — such as ballet and diving — may also employ acrobatics. Although acrobatics is most commonly associated with human body performance, it may also apply to other types of performance, such as aerobatics.